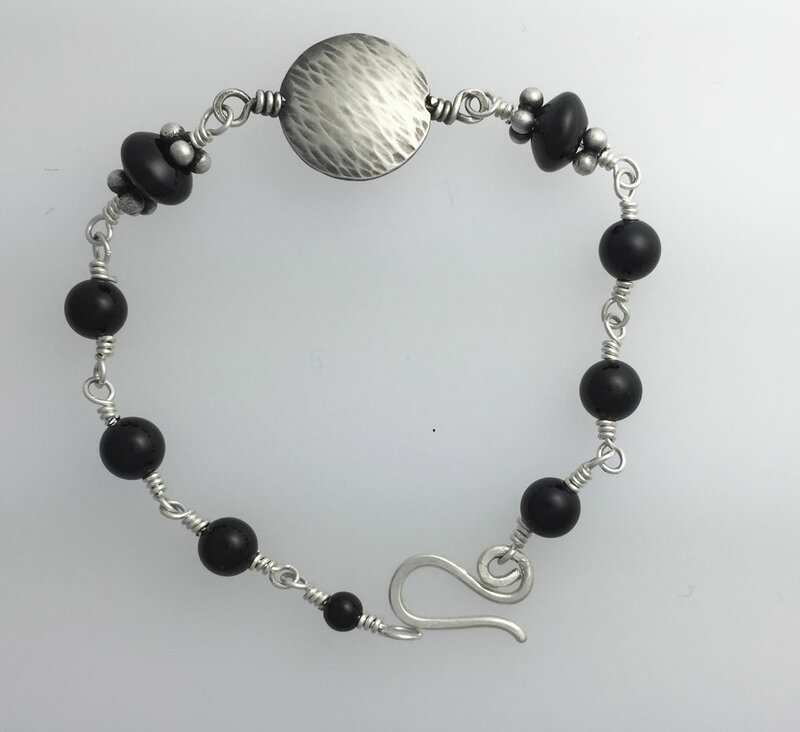 When you want just a little something special, on your wrist, this is the piece to have! 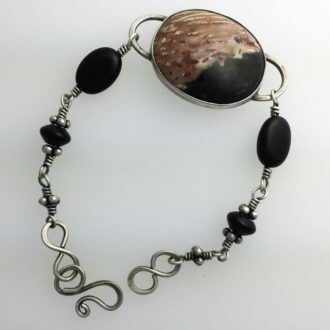 I fabricated a 5/8” double dome bead of Argentium Silver, textured it with hammer blows and added hand wrapped Black Onyx in three sizes; looks great with bangles and stands alone beautifully! 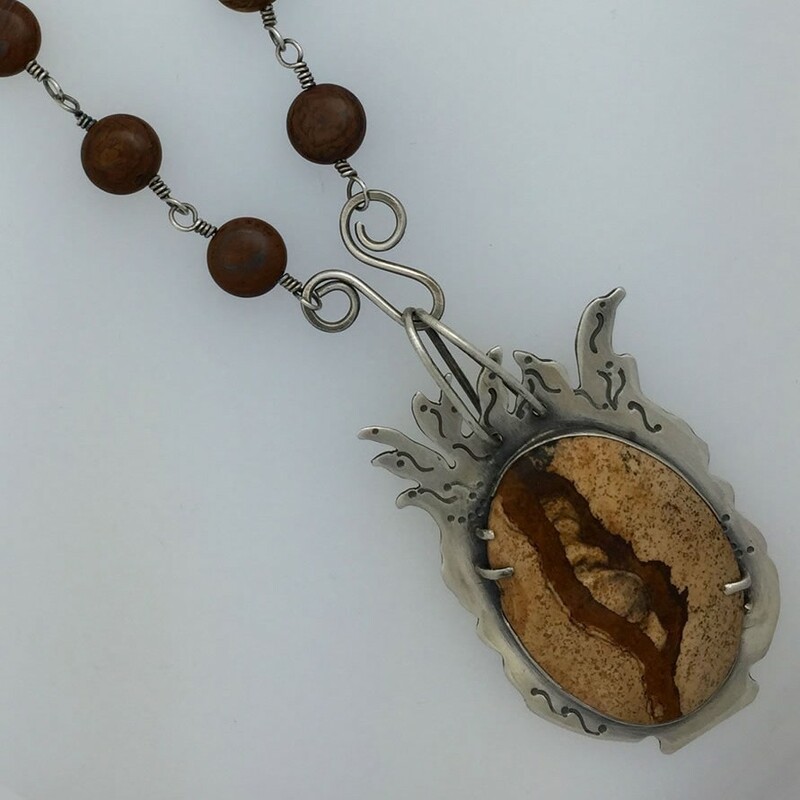 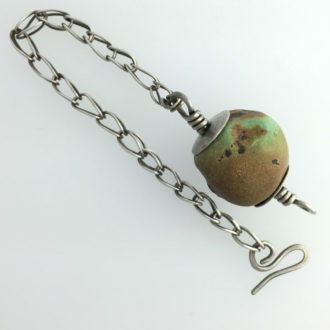 Light patina on the focal bead to accent texture; beads are mostly 6mm; 7 ½” length, as shown; can be made longer, please e-mail with requests.